What's the #1 rule of marketing and sales? Get to know your customers. What's most important to them? Staying comfortable during the cold winter and sweltering summer? Having the latest HVAC technology with remote access? Staying on budget with equipment purchases and utility bills? When you're working with customers in person, you have the opportunity to ask questions and better understand their needs and wants and match them with the right Day & Night® products. That's not often the case with social media...unless you use Facebook Insights to analyze your audience and adapt your messages. 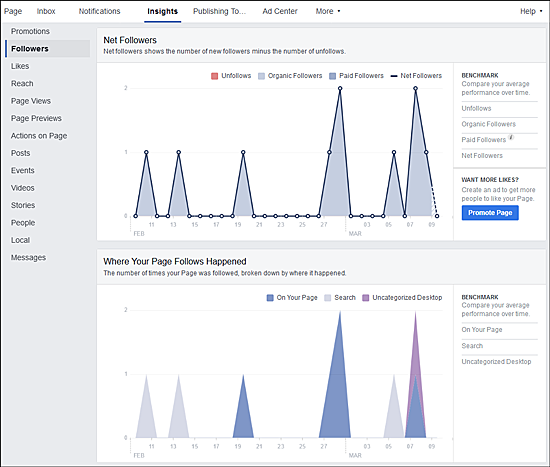 Facebook Insights is a free analytics tool that measures how your Facebook business page is performing. It tracks Followers, Likes, Reach and other helpful metrics that can help you better understand your customers and customize content to increase engagement (and hopefully sales!). 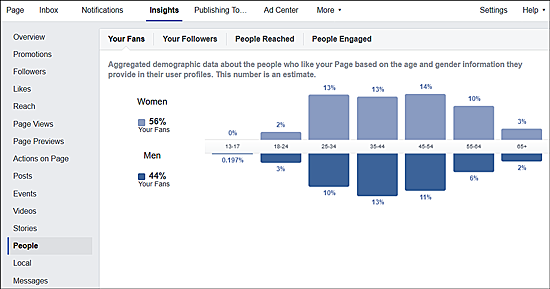 Johnathan Dane in his article "How to Use Facebook Audience Insights for Better Targeting"2, provides some great tips on using Facebook Audience Insights as an analytical tool. He provides ways to analyze your audience in detail to generate posts that will have them Liking, Sharing and Referring your business page with friends and family. Pretty exciting! Now, let's get started with Facebook Insights. Login to your business page and select "Insights" at the top of the page. The Overview Page or Insights Dashboard provides a quick look at how your page is trending over time. Today, let's focus on Facebook Audience Insights, including the Promotions, Followers, Likes, Reach and People metrics. We'll talk more about Content or Page Insights next time. Check out the Promotions tab. If you're running any Facebook Ads or "Boosted" any posts, the Promotions section provides a snapshot of how many people those ads are reaching and the level of engagement your posts are getting. This tab helps determine the effectiveness of your current promotions. And, you can make adjustments to those promotions to increase audience engagement and sales. Here you can see how many customers are currently following your page, how many net Followers your page has, and when they started following your page. If you click on the Likes tab, a few graphs appear. You can see how many total Likes your page has, how many people have Liked or Unliked (yikes!) your page and where and when the Likes occurred. You can also determine which Likes were paid (i.e., Facebook Ads or boosted posts) and unpaid (i.e., organic). Let's say you are running a Facebook campaign. By analyzing the growth on the Likes graph, you can figure the effectiveness of the campaign. Here you can get a picture of how many people saw your posts and how they interacted with your content: Did they Like it? Did they Share or Refer it? Did they Comment on it? The Reach metric also tracks negative reactions to your page. Did they Hide it? Report it as Spam? Or Unlike it? The Reach Insight provides a good gauge of customer engagement. The People metric provides demographic information on your Facebook fans, the people who have Liked your page, saw your posts and/or engaged with your page or posts. This metric will tell you the percentage of women and men, as well as the city and country they are from and other details. It's a pretty handy audience analysis tool! Now that we've provided a basic look at Facebook Audience Insights, including the Promotions, Followers, Likes, Reach and People metrics, you can start analyzing your audience and making adjustments for increased customer engagement. Check Facebook Insights frequently to see how your customers are interacting with your content. And, watch for more on Facebook Content/Page Insights on www.GoDayandNight.com soon. 1 Facebook and Facebook Insights are registered trademarks of Facebook, Inc.